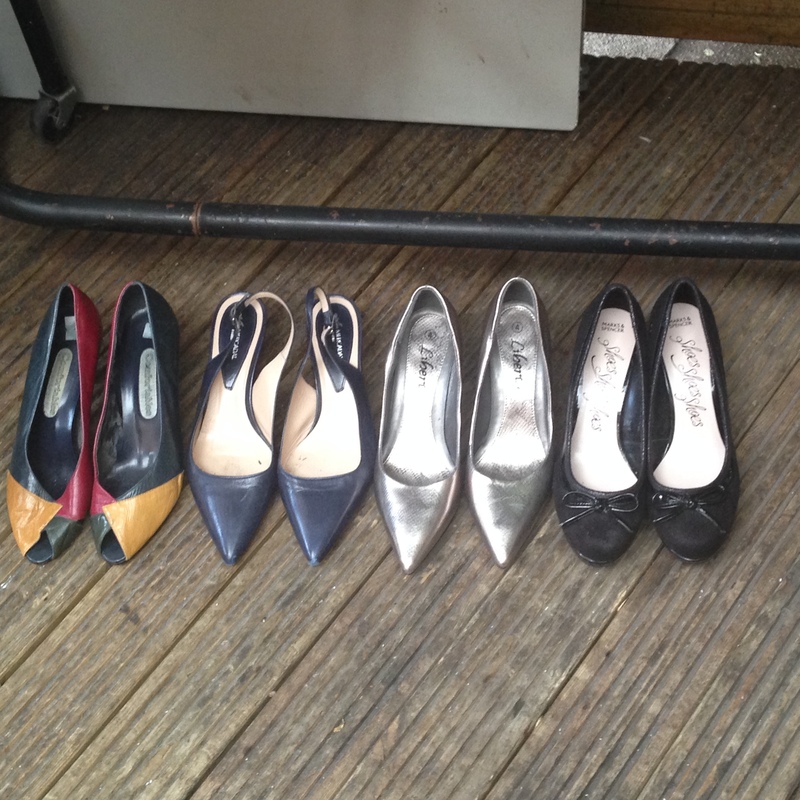 Yesterday evening I attended the inaugural Drop & Swap which was held as part of Stirchley Community Market. 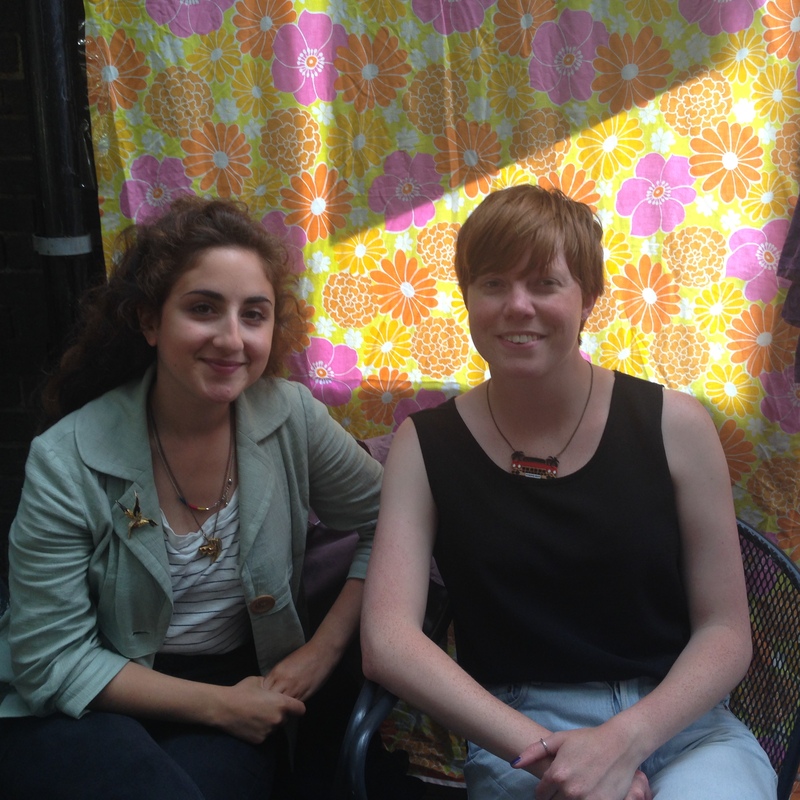 I took along my unwanted clothes and bags and dropped them off with Anna (pictured left, below) and paid her my £4 entry. I was given a token per item that I’d bought along. Anna and Lucy (pictured right, below) then inspected my items to ensure they were clean and there were no holes or rips. It was then time for me to have a good rummage through the rails and in the bags underneath to see what I could spend my tokens on. I liked the fact that you were given one token for each item and you could spend that token on another item which may have been greater value than the item you bought. I was glad there wasn’t any system in place like 1 token equals one top, 4 tokens equals a coat or anything like that. 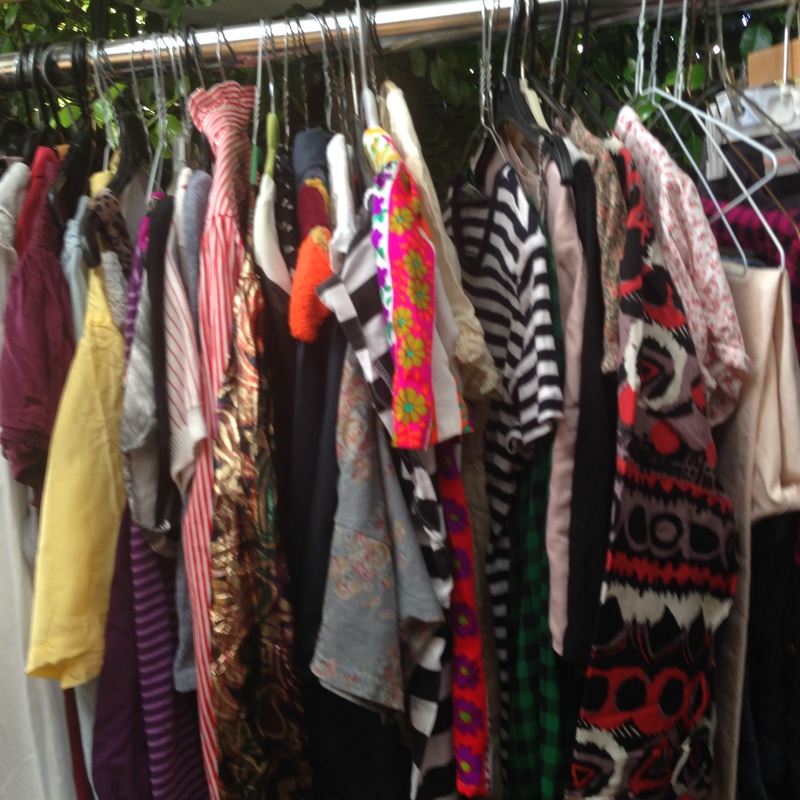 Unlike other swishing/ clothes swap parties I’ve been to previously the clothes were of decent quality and a mixture of sizes. 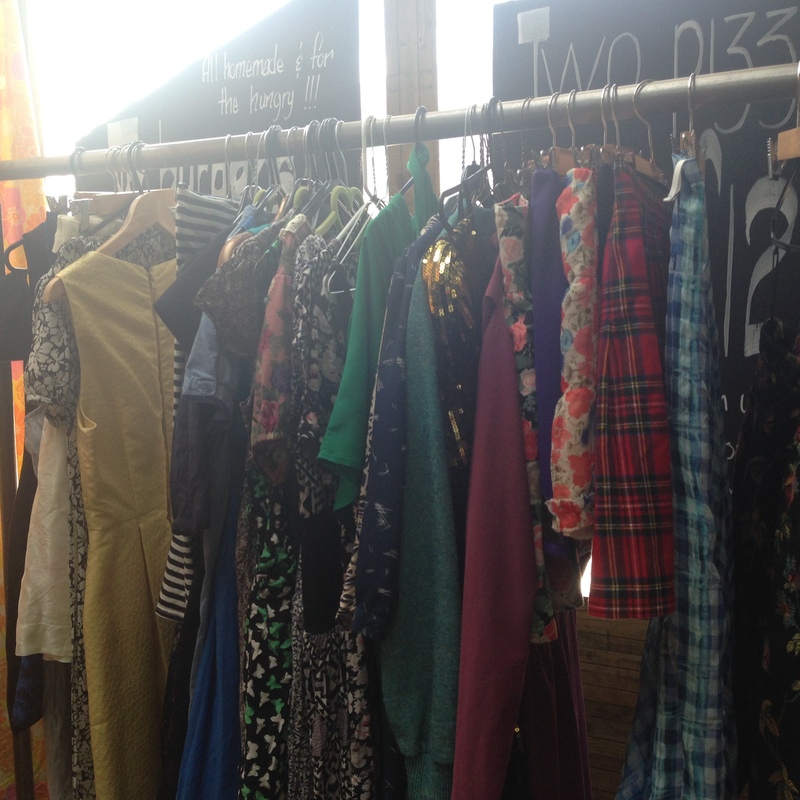 There were brands on offer such as Asos, Marks & Spencer, Primark and Oasis as well as vintage pieces. I think the entry fee meant that the items on offer weren’t something resembling a charity shop bargain bin. I had some trepidation before the event that I wouldn’t find anything however I found I quickly picked out plenty of things. I found a lovely lilac silk top that was unfortunately far too big for me and a green Asos evening dress that was too small. 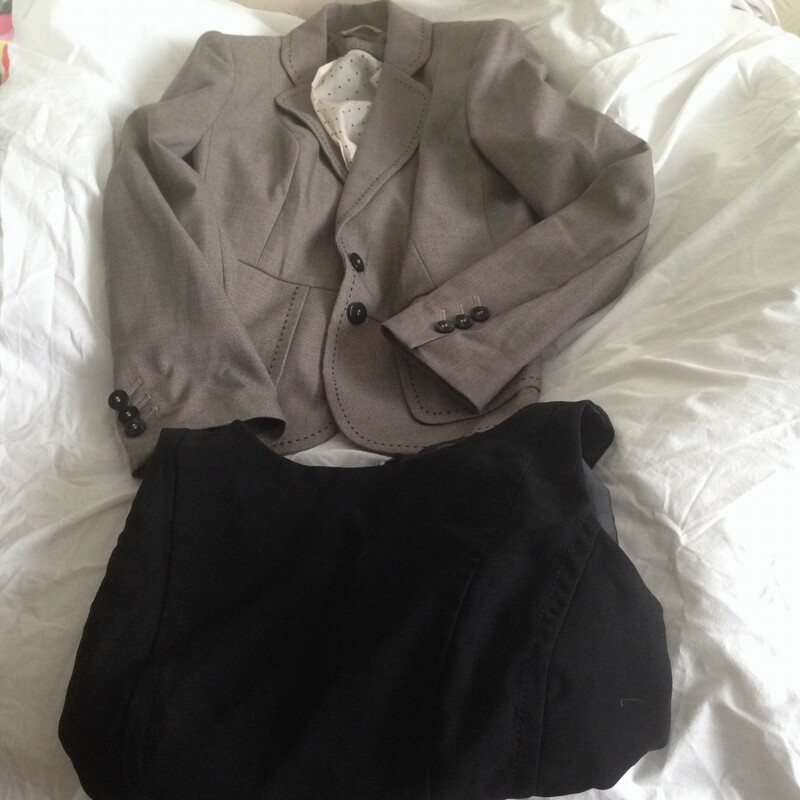 After lots of browsing and trying things on I settled on a grey Marks & Spencer jacket and a black shift dress also from M & S which was perfect as I’d hoped to find some smart work wear as my wardrobe was lacking slightly in that department. 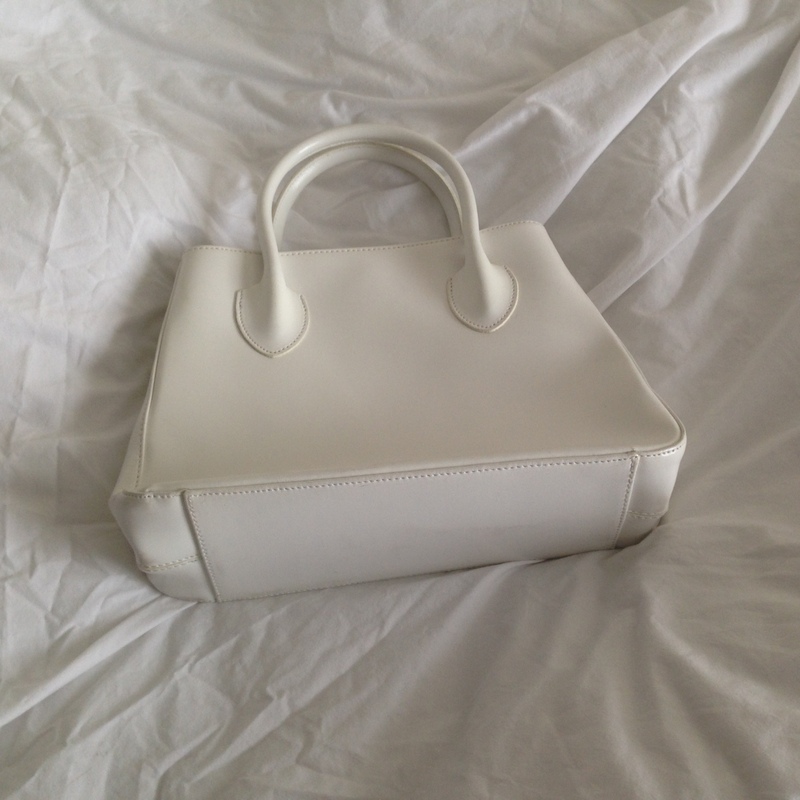 I also picked out a white handbag which will go perfectly with my recent sale purchase of a Yumi wrap dress. 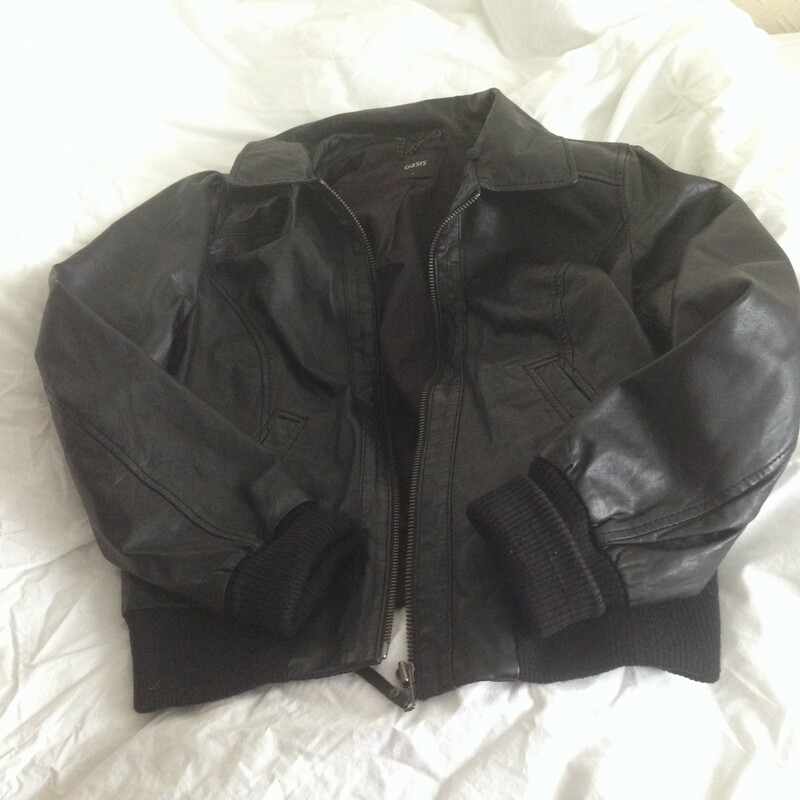 My last item was a leather jacket from Oasis which is a bit different to what I’d normally pick out however the beauty of the event is if I decided the jacket wasn’t for me after all I can take it to the next swap and exchange it for something else. 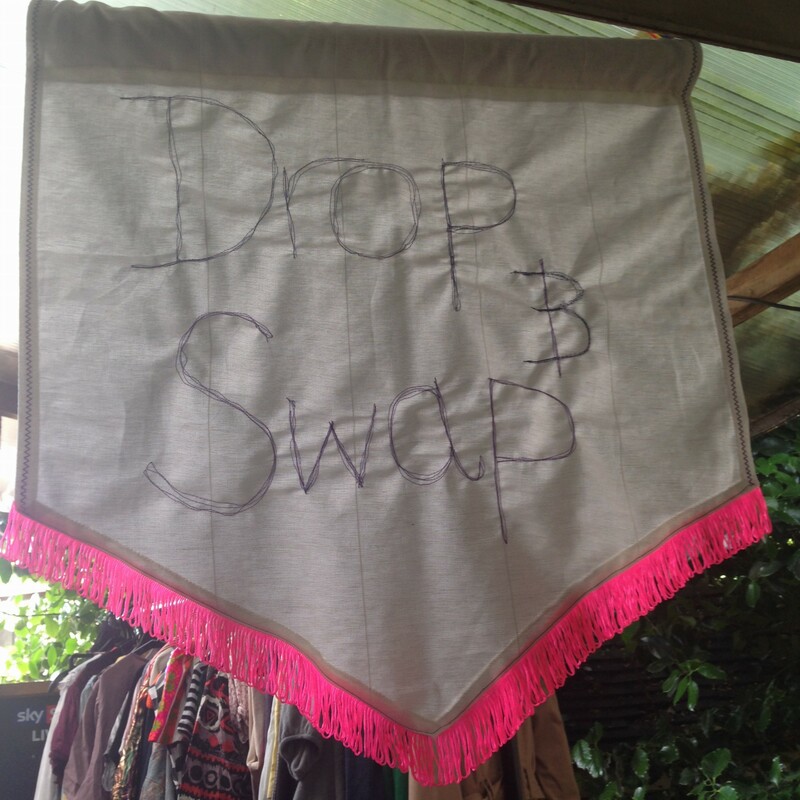 Follow Drop & Swap on Facebook to find out when the next event is.